Punkte Benötigt: 6400 Por favor, añade este título a tu Lista de deseos e Inicia sesión con tu cuenta My FedEx Rewards desde un dispositivo compatible. Notice : Activation key must be used on a valid Steam account. Requires internet connection to install.ABOUT THE GAMEExperience the ultimate in science-fiction action with the Alien Breed™ Trilogy: three arcade-shooter titles in one fantastic collection, together for the first time. 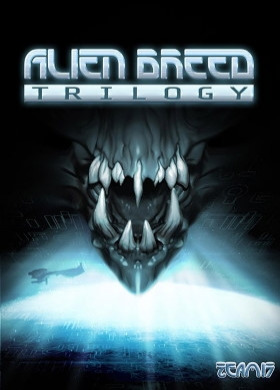 The Alien Breed™ Trilogy resurrects a much revered franchise with an epic narrative, swarms of intelligent alie… n enemies, high-impact weaponry and rich environments; all implemented with superb technology in a state-of-the-art gaming experience, developed using Epic Games' Unreal® Engine 3. In addition to the thrilling single-player campaign and Survivor modes, the games offerrelentless, action-packed, two-player online co-operative battle modes. KEY FEATURESThe thrilling shooter trilogy, all in one collection: Alien Breed™: Impact is the first explosive chapter in the Alien Breed™ Trilogy, and is an action-packed mix of arcade-shooter, survival-horror and tactical weapons upgrades and customization. The player takes control of Theodore J. Conrad, the heroic engineer on the spaceship Leopold, which has collided with a mysterious ghost ship after dropping out of hyperspace. Conrad must take up arms against the vicious alien invaders that have overwhelmed his ship and fight to save his life. Alien Breed™ 2: Assault is the second chapter in the Alien Breed™ Trilogy. Continue your fight for survival as Conrad, across the fatally damaged space vessels, armed with destructive new weaponry, against the ongoing ruthless alien assaults, including thrilling new set pieces. Take up the challenge and try to stay alive in the all new “Survivor” modes. Alien Breed™ 3: Descent is the final explosive chapter in the Alien Breed™ Trilogy. Once again take control of the hero, Conrad, the ship’s Chief Engineer, in his last stand against the savage alien horde. Equipped with powerful new weapons, survive the action-packed third-person action sections, as the horrifying truth surrounding the existence of the Breed is finally uncovered… SYSTEM REQUIREMENTS Minimum : Operating system: Windows XP SP2 or later Processor: 2.0+ GHZ Single Core Processor Memory: 1GB RAM Hard disk space: 5 GB Video: NVIDIA 6800+ or ATI Radeon X700+ Video Card Sound:	Windows Supported Sound Card DirectX®: 9.0c Controller support: Yes Any special multiplayer requirements:	Internet connection required Developed and Published by Team17 Software © 2010 - 2011 Team17 Software and Alien Breed™ Trilogy are Trademarks or Registered trademarks of Team17 Software limited. All rights reserved. All other trademarks, copyrights and logos are property of their respective owners. © 2011 Valve Corporation. Steam and the Steam logo are trademarks and/or registered trademarks of Valve Corporation in the U.S. and/or other countries. Unreal, Unreal Engine and the Powered by Unreal Technology logo are trademarks or registered trademarks of Epic Games, Inc. in the United States of America and elsewhere.